Indicates a book that is perfectly serviceable for reading. It may have a defect or damage. As such, reading copy is not a collectible book, except perhaps on occasion as a placeholder in a completist's collection until a desirable copy can be acquired. A reading copy should not be confused with an advance review copy or advance reader's copy, both of which can have appeal to book collectors. That said, although a reading copy might have defects, these defects should not be such that they inhibit the readability of the text. Examples of defects or damages that would not be acceptable in a reading copy would include torn or missing pages, excessive highlighting or underlining, textblock separating from the spine or page stains that cover or obscure part or all of the text. Books with these flaws can at best be considered binder's copies when scarce or desirable, but often are best suited to be recycled. 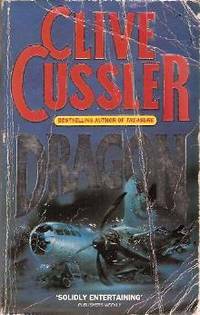 Pictured below is an example of a well-worn reading copy of Clive Cussler's Dragon.